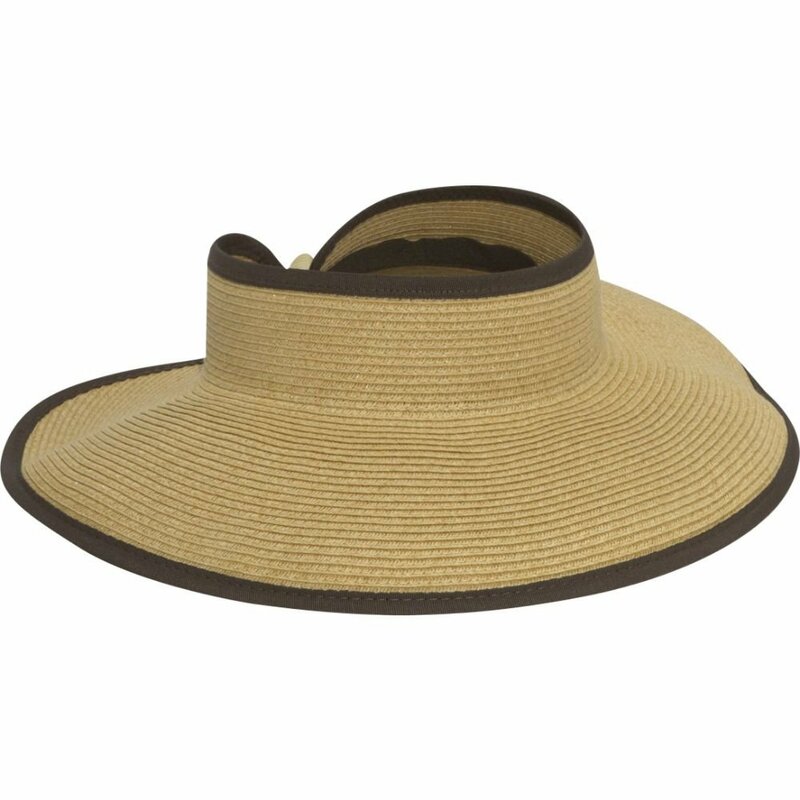 Since tomorrow marks June 1st and summer is here this LaForce Likes is about my favorite sun hat from San Diego Hat Company. 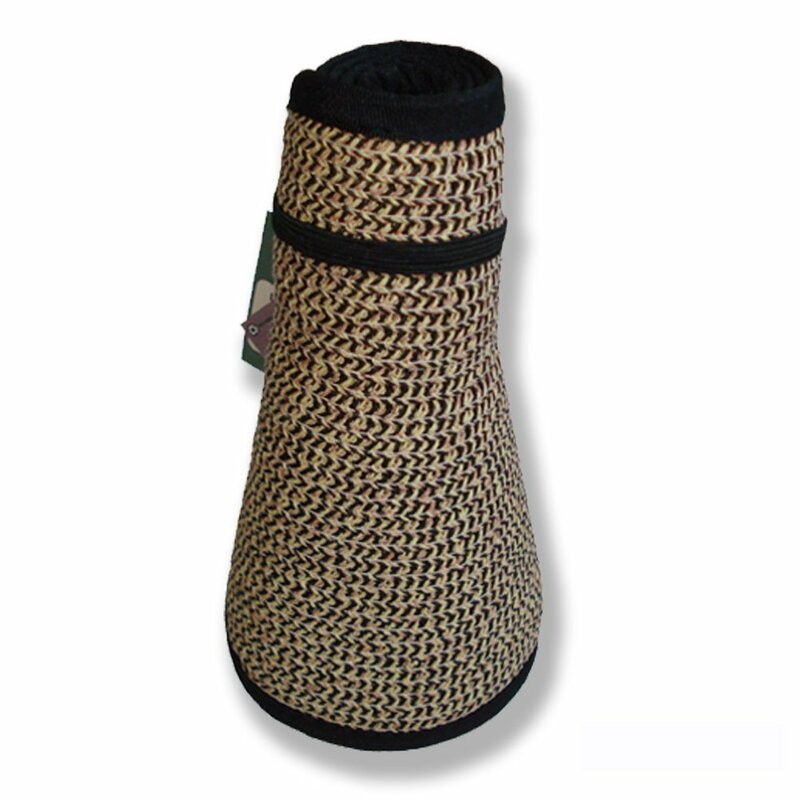 When at the pool or beach or on the lake I like to protect my face from the sun. Most sun hats do not allow you to do this while having your hair in a ponytail which is a must in my opinion if you have hair long enough to be pulled back. 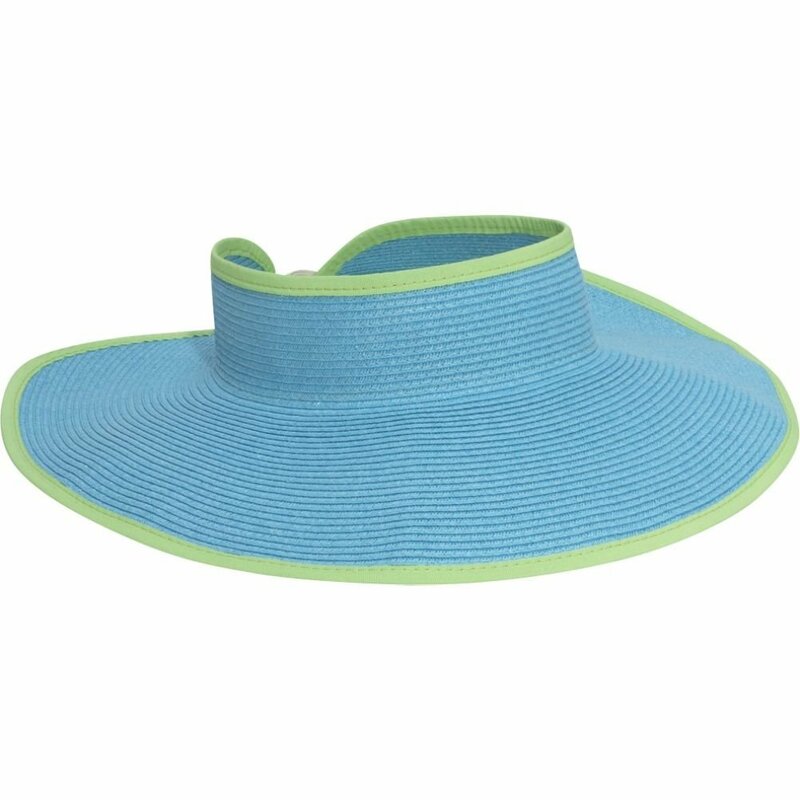 This hat, really a visor, is perfect for hair up or down and rolls up nicely for packing. It fits everyone because of the adjustable velcro closure and it is stylish with a variety of colors! I got this 5 years ago and I am STILL using it as you probably saw from my St. Maarten post. They have various other styles of hats/visors as well. I have given a few as gifts and the receivers have enjoyed theirs too! 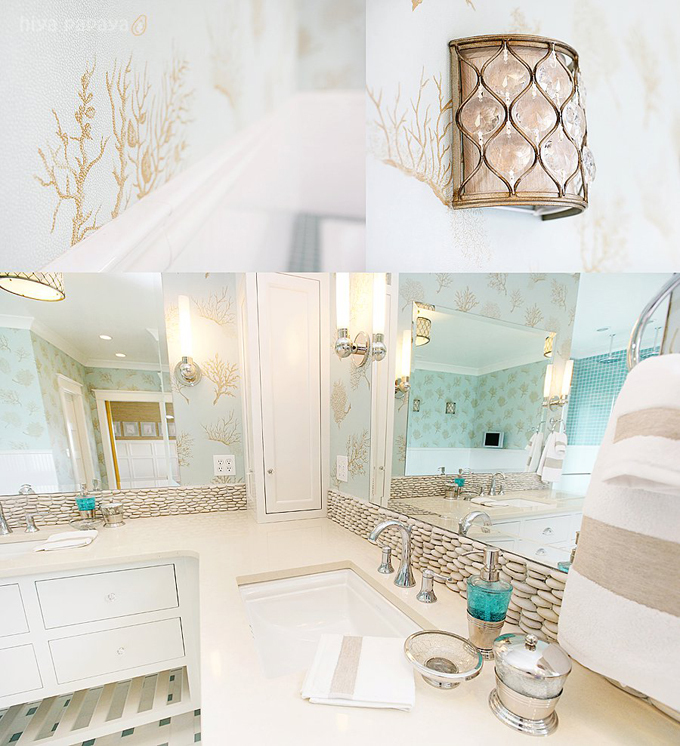 This week's LaForce Likes is beach themed bathrooms! What better way to end up with a peaceful space than using a beachy theme. Love love the beach! Our guest bath is currently a "wanna be beach theme" meaning that is the vision I have for it but currently it only has a few beach things in it: 2 silver buckets with sand and shells on the counter, a big shell on the counter and sand/khaki colored rug and shower curtain. It definitely needs some wall art, colorful towels, and possibly a shelf. 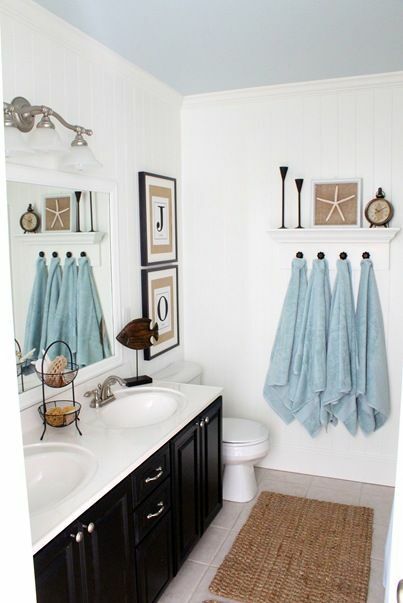 Here is some inspiration I found for a beach bathroom. I want it to be calm and peaceful without overdoing the beach theme or it being tacky. I see some trips to Homegoods in my future! Any beach inspiration you would like to share? As I mentioned here, I have always known I wanted a white plate wall on a wall in my living room. Not too long after getting the house we got 2 eggplant armless chairs for the space and then in the fall I finally got the round pedestal table I was desperately wishing for to go in between the 2 chairs. All this time I had also been collecting white plates here and there from Goodwill, Salvation Army, clearance aisles at TJ Maxx, Marshalls and Homegoods. Finally I thought I had enough. Over the Christmas holiday my mom helped me arrange them all on brown paper. There was a lot of maneuvering around and then we traced them onto the paper and numbered them. I numbered the corresponding plates too with tape. We taped up the brown paper onto the wall and then later err... like 2 1/2 months later we decided to hang them. You can see the brown paper in the background here. I had bought those yellow Disc things that you wet and put on the backs of the plates. Well let me tell you how I feel about those discs... EPIC FAIL. We followed the instructions exactly but some of them still didn't stick well to the plates. I read about others having similar problems so I duct taped the discs on. I cut out the shapes for the plates in the brown paper and we hung them. Hanging went pretty smoothly since nothing had to be exact since none of the plates were lined up or anything. Then I cut the paper away and just a wonderful plate wall was left! Just to reinforce my thoughts on the Discs... a day after hanging the plate in the bottom right (the flower one) fell and luckily landed on the purple chair with no damage. The disc was still hanging by the nail in the wall and the plate with duct tape still on it had slipped right off! I reinforced that one with even more duct tape. There have been no problems since but I definitely would NOT recommend using these to hang anything that is really precious to you. For me, the most one of these plates cost was $10 and most were $1. If anyone knows of a better product where you don't see the hanging hardware let me know! 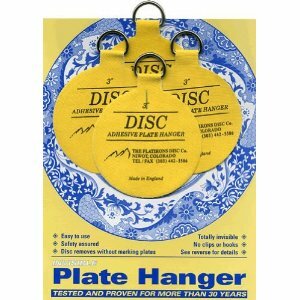 If you are hanging a plate wall or any plates the brown paper tracing method was a big success for us. I really love the white contrast with the purple chairs. I need to figure out something a little taller to put on the round table and I'm still trying to figure out lighting (table lamp vs. floor lamps vs. both) in this space and selling that tree so more to come! !